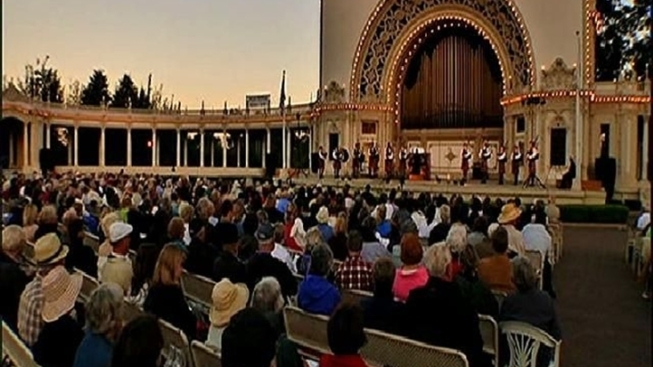 If you hear a pipe organ playing in the Spreckels Organ Pavilion at Balboa Park this Sunday, you may be listening to the sounds of a world record being broken. On Sunday from 8 a.m. to 8 p.m., San Diego Civic organist Carol Williams will be playing a 12-hour pipe organ marathon to raise funds for Operation Rebound in support of disabled veterans. The super-long pipe organ marathon will also double as a world record attempt. Williams has prepared a vast repertoire of almost every kind of pipe organ music imaginable, including her own compositions, to keep the music marathon going. The show is free and open to the public. Throughout the day, other special guests will make appearances to add to the celebration. For details on the potentially record-breaking music marathon, visit the event website.